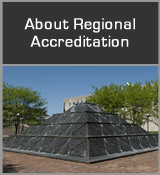 Institutional accreditation is provided by regional and national associations of schools and colleges. There are six regional associations, each named after the region in which it operates (Middle States, New England, North Central, Northwest, Southern, Western). The regional associations are independent of one another, but they cooperate extensively and acknowledge one another’s accreditation. Several national associations focus on particular kinds of institutions (for example, trade and technical colleges, and religious colleges and universities). An institutional accrediting agency evaluates an entire educational organization in terms of its mission and the agency’s standards or criteria. The Commission accredits more than 1,000 colleges and universities in nineteen states. The states are Arkansas, Arizona, Colorado, Iowa, Illinois, Indiana, Kansas, Michigan, Minnesota, Missouri, North Dakota, Nebraska, Ohio, Oklahoma, New Mexico, South Dakota, Wisconsin, West Virginia, and Wyoming. 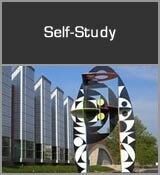 This information was referenced from the Higher Learning Commission website as of February 13, 2012. A. 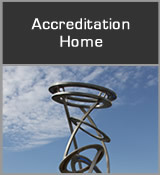 Accreditation by the Commission and by other nationally recognized agencies provides assurance to the public, in particular to prospective students, that an institution has been found to meet the agency’s clearly stated requirements and criteria and that there are reasonable grounds for believing that it will continue to meet them. Q. What is the value of accreditation? A. Accreditation provides both public certification of acceptable institutional quality and an opportunity and incentive for self-improvement in the accredited institution. The Commission reaches the conclusion that a college or university meets the Criteria only after the institution opens itself to outside examination by experienced evaluators familiar with accrediting requirements and with higher education. The process of accreditation provides the accredited institution with an opportunity for critical self-analysis leading to improvement in quality and for consultation and advice from persons from other institutions. Q. What is the difference between regional accreditation and state licensure? A. While many states have established regulations that must be met before an educational institution may operate, in most states such regulations represent a minimum basis for protection of students. State authorization should not be confused with institutional or specialized accreditation. To operate legally, a college or university may need state authorization, but it does not necessarily have to be accredited by an institutional or specialized accrediting association. In fact, an institution must have the appropriate authorization by a state to operate before it can seek affiliation with the Commission. Q. Why doesn’t the Commission rank colleges? A. Various publications base ranking on specific numerical details (such as size, tuition, and endowment); faculty selectivity; and/or public opinion. The purpose of accreditation is to provide public assurance of educational quality and institutional integrity. It is important to remember that colleges and universities differ from one another in significant ways, including mission, programs offered, and students served. Therefore, the important issue for each student is whether the college meets his or her needs. Published rankings are one source of information, but they should not be the only source. Q. Why doesn’t the Commission recommend colleges to students? A. Selection of a college is an individual decision. There are so many different types of colleges and universities (small, large, single-program, multiple-program, urban, rural, public, private) that matching a student’s interests and abilities to the characteristics of a college requires detailed information about the student and the institution. Information about colleges may be found in books and directories (available in many libraries), and students are advised to consult with their secondary school counselors or advisers. The admissions officers of colleges often are able to provide assistance, particularly information about the institution they represent. Increasingly, useful college information can be found on the Internet. 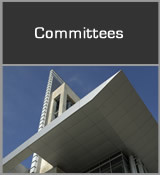 The information available from the Commission is limited to that describing the institution's status with the Commission. Q. Does accreditation include distance education courses and programs? A. Yes. The Commission accredits many institutions that offer courses and programs through various methods of distance delivery. Since the Commission accredits institutions rather than individual programs, it does not maintain listings of such programs. Q. Does accreditation guarantee that credits and degrees can be transferred to another college or university? A. No. The college or university to which the student has applied determines transferability of credits and degrees. Transferability depends on the college or university at which credits or degrees were earned, how well the credits mesh with the curriculum offered by the school to which the student wishes to transfer, and how well the student did in the courses. Many institutions choose to consider the accredited status of the college at which the credit or degree was earned as one factor in the transfer decision. Some have specific agreements with other colleges or universities guaranteeing transfer of credits. Institutions should be prepared to explain their policies on transfer and the factors in an individual transfer decision. Students should be skeptical of any school that makes unqualified assertions that its credits will transfer to all other schools. Anyone planning to transfer credits should, at the earliest opportunity, consult the receiving institution about the transfer—before taking the courses for transfer, if possible. 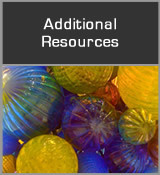 This information was referenced from the Higher Learning Commission website (http://www.ncahlc.org/Information-for-the-Public/frequently-asked-questions.html) as of February 13, 2012.